Does your school has a security system that prevents you from posting those cute pictures and posts on Instagram or Facebook? Or are you not able to download a certain application that is available to download for your cousins in the UK? The Psiphon APK is that application which is going to lift all these restrictions for you. 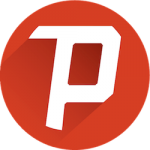 Psiphon is a VPN service provider that helps you mask your identity while browsing over the internet. It is a pretty important APK when you’re traveling abroad as countries want to keep an eye out for these kinds of citizens. This application will encrypt all your data into a tunneling system created between your remote server and you, making it hard for others to notice your activity. The APK is available to download on the google play store if your country hasn’t banned it. If that’s the case then you may download the APK using the link that we have provided. Setting up the application is also simple and it readily connects to your server. It takes just a few seconds to connect to the proxy server of your choice. You might look out for Psiphon Pro APK which is available on Google Play Store. Download the Psiphon application using the given link. Open your device settings and navigate to “Security” and turn on the option to “Allow installation of apps from unknown sources” else go to the next step. Open the downloaded files folder and find the downloaded application. Install Psiphon on your device and wait for the installation to finish. Select the country whose server you want to connect to. Enjoy browsing without any restrictions. There is no need of registration on the APK. The Psiphon is basically one of those VPN servers that serve the basic function of removing enforcement of censorship. It should not be mistaken as an online security application. The browsing is not entirely private as Psiphon stores some of our data to help place ads on our browsing page when online. However, it secures our browsing while using unknown WIFi sources. All in all the Psiphon is a resourceful application given that it is free and it is recommended that you have it on your device.